Here is something exciting and out of the ordinary! 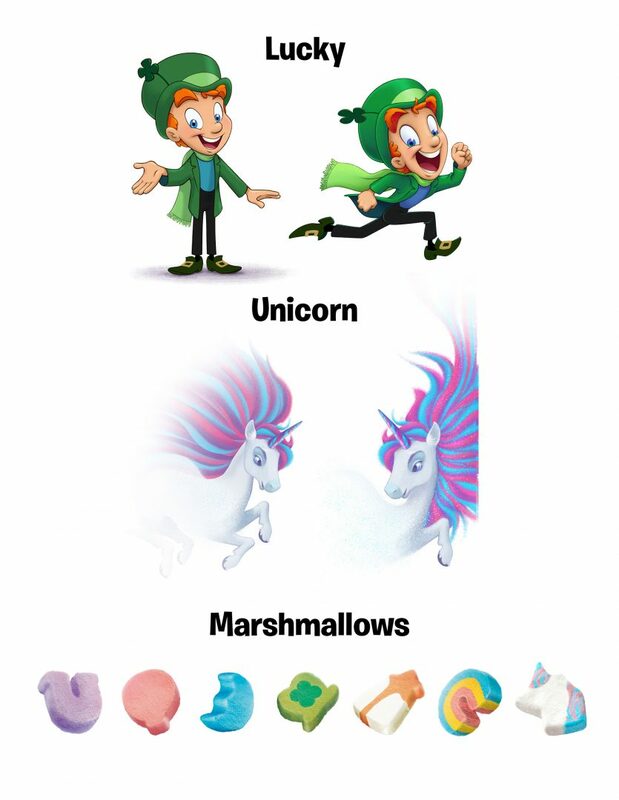 I was contacted a few months ago by Lucky Charms about doing a couple of Lucky Charms Puppets for an upcoming bit of marketing they were doing, surrounding the launch of their new unicorn marshmallow shape in the boxes of Lucky Charm’s cereal! I was very excited, and began discussing the details with them. They were creating an entire magical forrest inside of a pavilion at the Brookfield Zoo near Chicago where kids would walk through and guess what the new magical unicorn might look like, or what it’s special powers might be. It was ambitious to say the least. 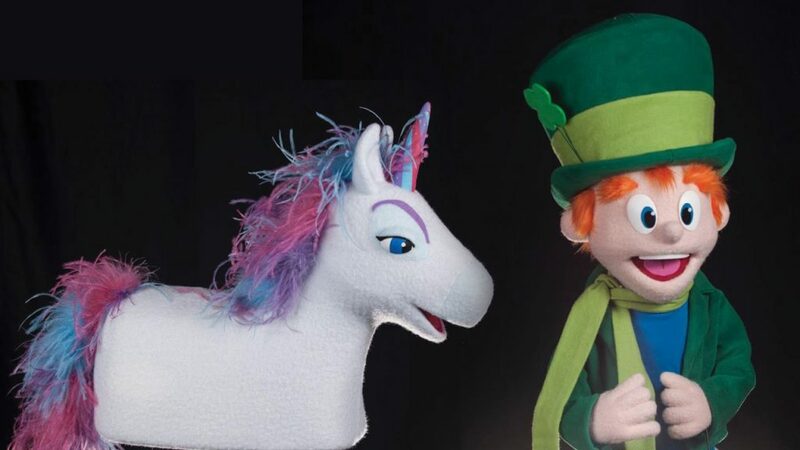 My part in it was to build Lucky Charms Puppets of Lucky the Leprechaun and the new unicorn character for a live show that would be done in the last room of the magical forrest! After receiving the designs, I began work. 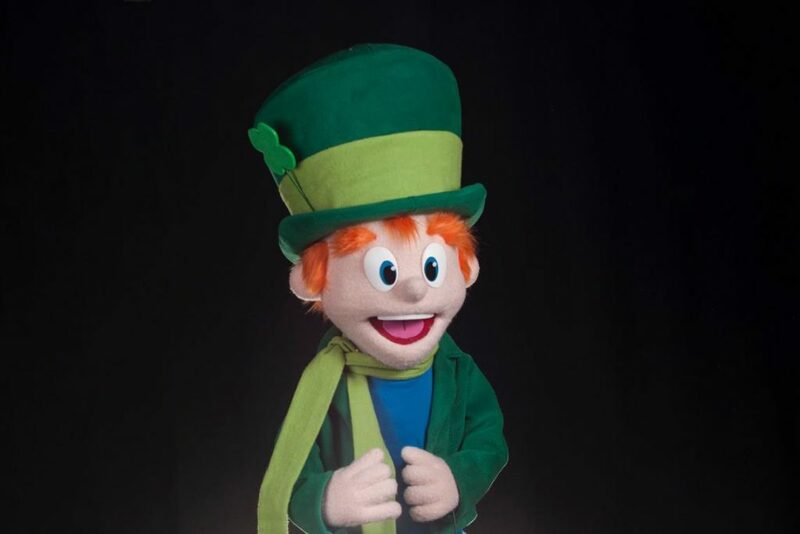 I really wanted to make these puppets pop, so I enlisted character designer Ed Eyth to help me work out turning Lucky into a 3D, performable shape. 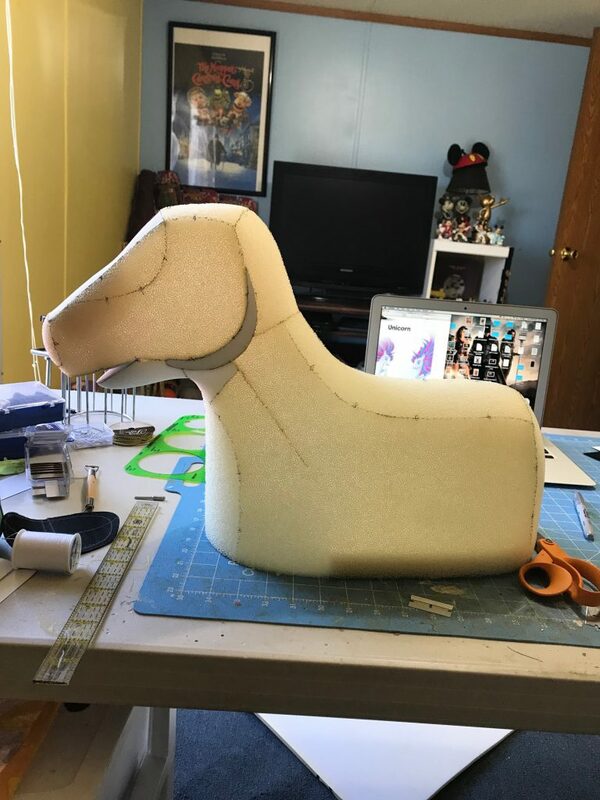 Lucky was very tricky, but I finally got the shape worked out in foam from a sculpture Ed had done. 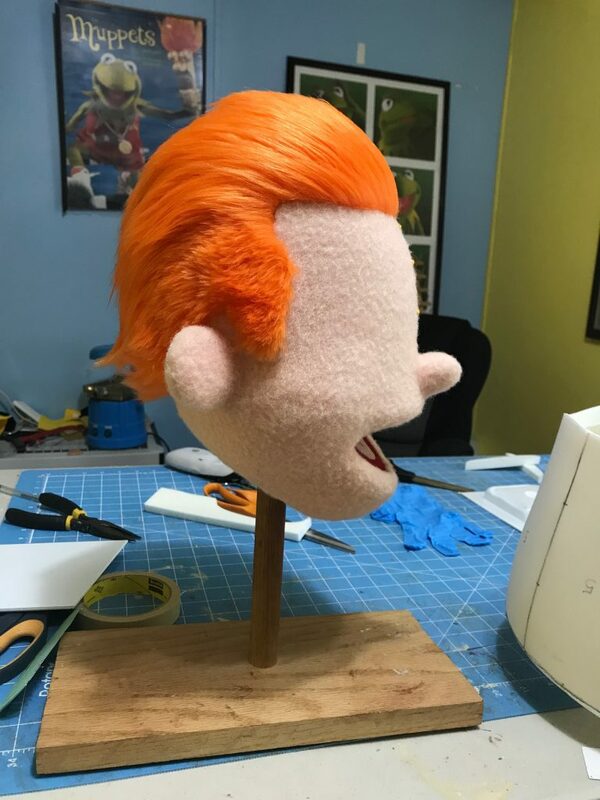 The hat was more complicated to make than I was expecting, but I finally got it worked out with a combination of L-200 foam, poly foam, and armature wire. Lucky’s beautiful costuming was done by Natalie Lessard. I wanted to make the unicorn as pretty as I possibly could, so I did a lot of tests with materials, colors, and textures to get the best results. 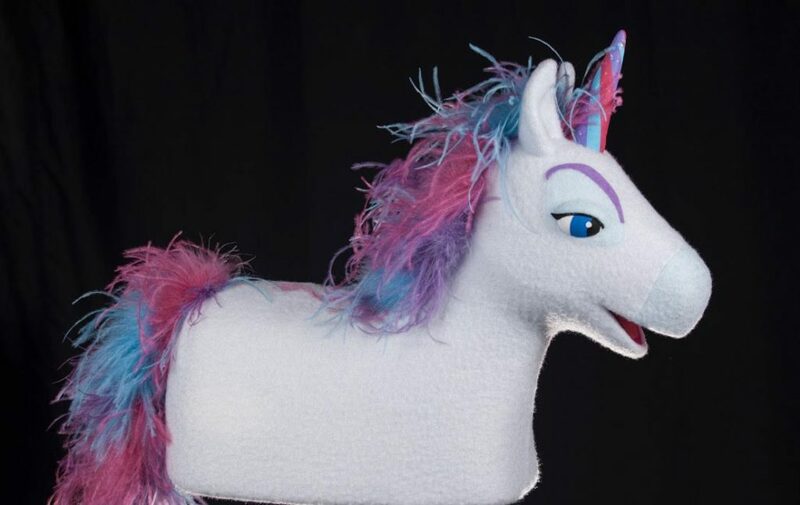 The unicorn’s horn is actually made from carved foam coated with many layers of latex rubber. 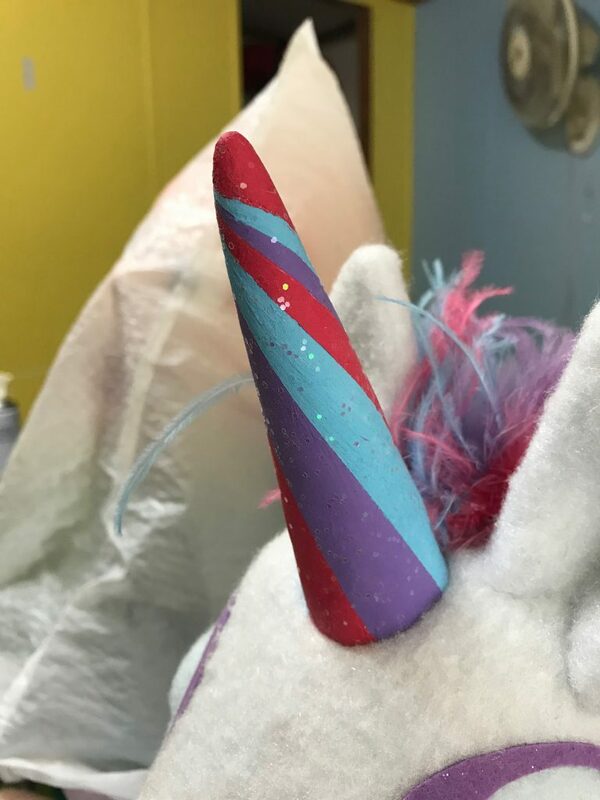 After sanding the latex, I painted the horn and added glitter. The eyes are also hand painted. I left the seam around the nose a bit more noticeable to accentuate the color change, but I blended the seams around the eyes for a nice smooth eyeshadow look. If you look closely, you’ll notice that her skin isn’t white, but just slightly off-white-gray. This was to give the skin a little depth, and to make it closer to the illustration. Her mane and tail are made from strands of ostrich feathers that I hand-dyed, and then braided the three colors together. The event was nothing short of incredible, and the performer of the unicorn, Alanna Chuyan, and I had a great time working with the team from the brand. 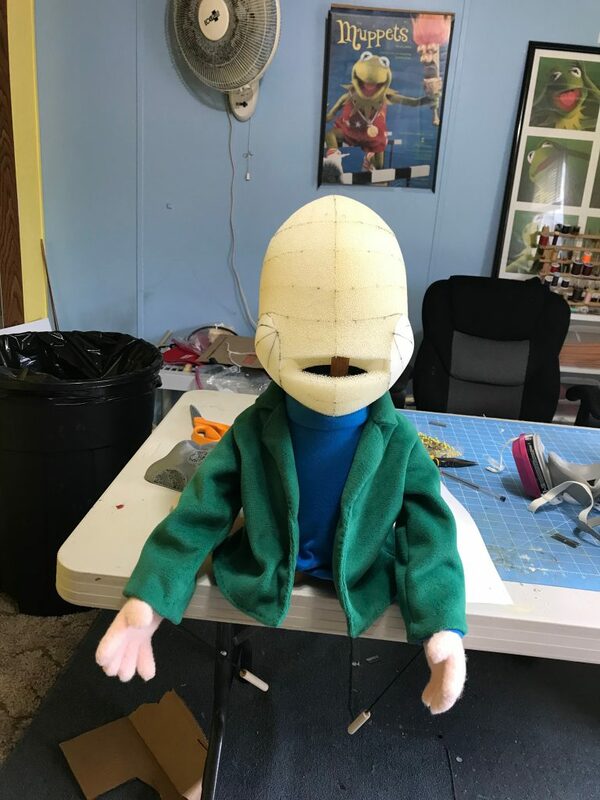 If you are interested in a custom puppet by James Kemp, visit my contact page and reach out today!